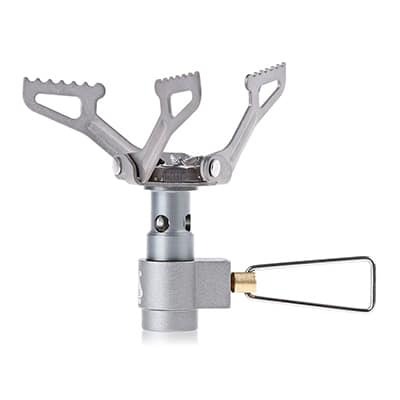 Whether you are a thru-hiker or a weekend backpacker, this guide will help you choose the best backpacking stove for you. Identify your cooking style, learn what stove features are most important, and see our top recommendations. 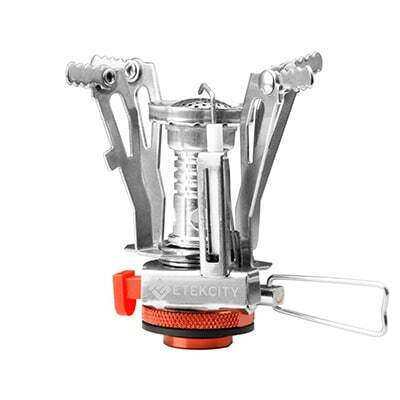 There are hundreds of different types of backpacking stoves on the market. Making sense of all the different specs and fuel configuration can be a major challenge – even to well-seasoned hikers! To make matters worse, there’s not a lot of level-headed information out there either. Stove selection can be a hot-button issue among backpackers, which can result in A LOT of strong opinions (see: any online backpacking forum). This guide is not about advocating one type of stove over another. It’s about finding a stove that complements your style of backpacking and fits within your budget. So we’ll walk through all the different types of stove systems and discuss the pros and cons of each option. But before we talk stoves, a few things first. 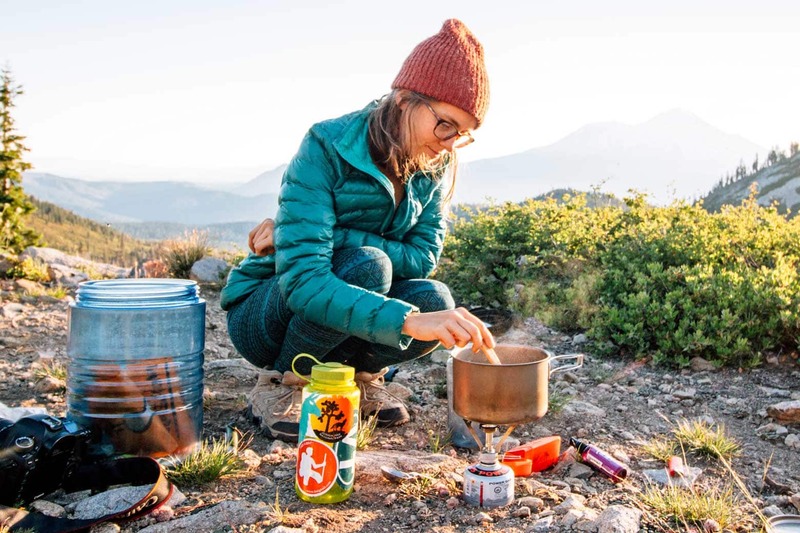 Boil-in-Bag Meals – Mountain House, Backpacker’s Pantry, Good To-Go, and Alpine Aire all make great backpacking meals that can be prepared by just adding boiling water. The food cooks inside the pouch, so there are no dishes to clean afterward. All you need for this style of cooking is a stove that is excellent at boiling water. ½ Boil-in-Bag / ½ DIY Meals – If you plan on eating a mix of boil-in-bag meals and DIY meals, then you’ll need a stove system that can rapidly boil water and be versatile enough to cook with. Boil time will be important, but perhaps not the dominant factor in your stove selection. 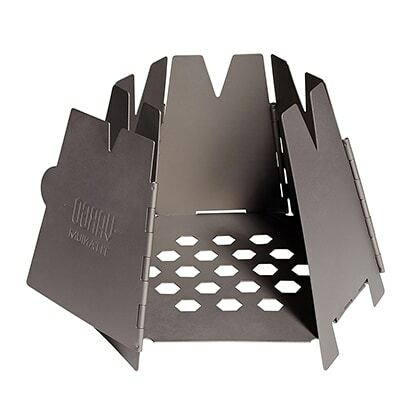 DIY Meals – If you plan to cook all your own meals out in the field, then you’ll need a stove that has good simmer control and a broad enough burner profile to prevent heat spots. ‣What type of cookware will you be using? The second step is to figure out the cookware you will be using on your stove. We could write an entirely separate article on this topic alone, but here are some of main types of cookware. Anodized Aluminum Cookware ($$)– Lightweight, superconductive, and semi non-stick, anodized aluminum has been electronically treated to make it non-reactive. This is a fairly versatile cookware option for those who want to boil water and cook DIY meals. Ceramic Coated Aluminum Cookware ($$$)– Lightweight, superconductive, and super duper non-stick, ceramic coated aluminum is a relatively new type of backpacking cookware. While it is great if you plan to cook a lot of your own meals, the ceramic coating can not withstand sauteing at high heat, so a stove with decent simmer control is a must. What type of fuel you decide to use will depend on a few factors, like available supply, local fire bans, and of course – weight. Here are the more common forms of backpacking fuel. 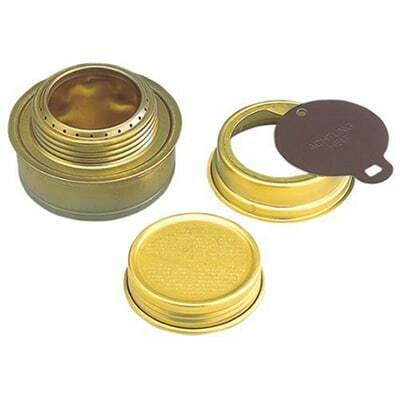 Canisters – Single-use backpacking canisters contain a self-pressurized blend of isobutane and propane fuel (roughly 80% / 20%). 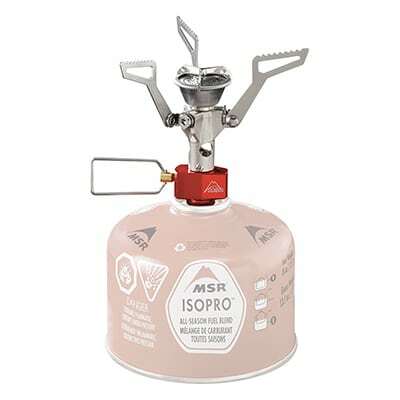 Liquid Fuel – Reusable liquid fuel backpacking stoves are manually pressurized and can burn a variety of widely available fuels (most commonly white gas). – Can be repaired & maintained in the field. Wood / Biomass Fuel – Wood backpacking stoves burn found biomass inside an internal chamber. Alcohol (Liquid) – Popular among ultralight backpackers, liquid alcohol stoves (frequently made out of old soda cans) are powered by cheap and widely available denatured alcohol. Alcohol (Solid) – More popular in Europe, solid alcohol stoves burn saturated alcohol tablets that can be damped out and reused until completely burned up. Okay, so we covered 1.) Styles of cooking 2.) Types of cookware 3.) Different fuel options. Perhaps you alright have an idea which way way you are leaning at this point. Now let’s dive into all the different factors to consider when selecting a stove. Some of these points might be really important to you, others less so. We’ll try to map out everything so you can start selecting which factors will be priorities for you. The size of your stove’s burner is a good indicator of two things: fuel efficiency and heat profile. A small burner might be more fuel efficient, but it will produce a tiny heat spot on the bottom of your pot. That can be a real problem if you’re trying to cook a DIY meal in a titanium pot, but not a big issue if you’re just boiling water. Depending on what type of cookware you plan on using, you will also want to consider the cooking platform each stove offers. Some stoves have expandable supports while others have a fixed cooking area. You will want a cooking platform large enough to securely support your cookware. Some canister stoves use an integrated regulator system and some are unregulated. An unregulated stove relies exclusively on the vapor pressure inside the canister to force the fuel out. This vapor pressure drops after each use (particularly when it’s cold outside). So towards the end of a canister, the vapor pressure will decrease and you’ll have less power. An integrated regulator will mitigate the pressure drop in a canister after each use. So a regulated stove will burn just as strong with a new or nearly spent canister. However, a regulator will add weight to your stove. Some stoves have a built-in ignition system while others require you to carry a lighter. While the integrated ignition feature is nice, it does add weight. Additionally, every backpacker should carry a backup fire starter. NEVER rely exclusively on a stove’s built-in ignition system. If you are making boil-in-bag meals most of the time than you won’t have much need for simmer control. However, if you plan on cooking your own DIY meals then being able to control the level of heat will be critical. Windy (even breezy) conditions can dramatically effect on your stove’s performance. While you can try to block the wind the best you can or purchase a specialty windscreen, some stoves are just better suited for the task. Top mounted canister stoves can use a partial windscreen but must allow enough ventilation not to overheat the fuel canister itself. Some integrated canister stove systems address this issue with built-in wind protection. There are also a few side-mounted canister stoves. Liquid fuel canisters are typically connected to the burner via a fuel line, so a full windscreen can be erected around it without overheating the fuel canister. Wood and alcohol stoves can also use a windscreen, but much of their performance in windy conditions will depend on their individual design. Weight, the ultimate consideration of every backpacker. So why not lead with it? Because the point is to find the lightest weight stove WITH all the features you deem priorities. It sort of defeats the purpose to start shaving off grams before you know what features you’re cutting out. While some people use weight as their sole deciding factor, the reality is there is a lightweight stove in every stove category. So now that you know what to look out for you, can start making weight saving decisions. 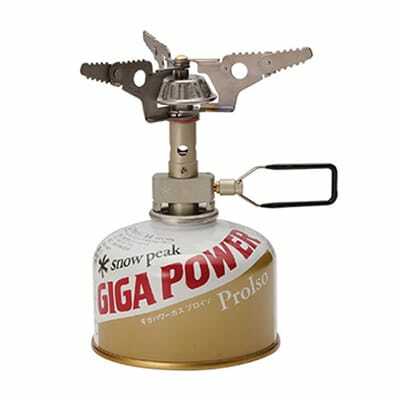 Here are some of our top backpacking stove recommendations for each category. Convenient fuel source and foolproof operation, canister stoves are the preferred type of stove for the majority of fair weather (spring, summer, fall) backpackers. 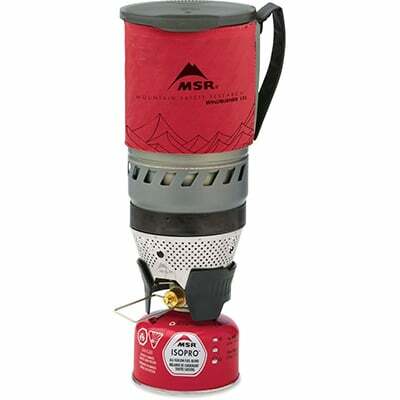 The most popular canister stove on the market, the MSR Pocket Rocket has been a workhorse for overnights and thru-hikers. While it’s not the lightest weight option, it’s solidly built, compact, and reliable. Best for boiling water and cooking soupy meals, but can cook DIY meals if using a highly conductive pot. 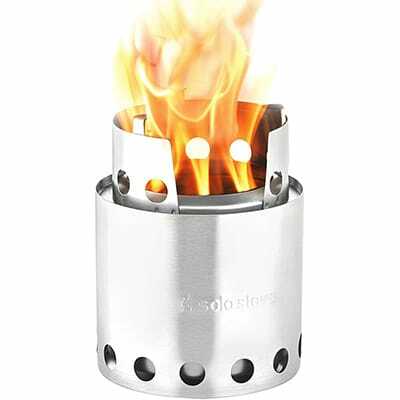 The original Pocket Rocket stove (pictured above) has been the screw-top canister stove we personally use, and we recently upgraded to the 2.0 model. If weight is your top priority in a stove, the BSR 3000T is the lightest weight canister stove on the market, weighing in at just 25 grams. But what you save in weight you lose in cook surface, wind protection, and simmer control. A very small pot/cup must be used otherwise the weight will bend the support while the stove is running. Might be good for solo ultralight backpackers boiling water or cooking really soupy DIY meals, but definitely has it quirks. If weight is your primary concern but you don’t want to deal with the finicky nature of the BSR 3000T, then the Snow Peak Litemax is a great option. At 56 grams, it’s a bit heavier than the BSR, but you won’t have to worry about the support stands melting. Best for boiling water and cooking soupy meals, but can cook DIY meals if using a highly conductive pot. 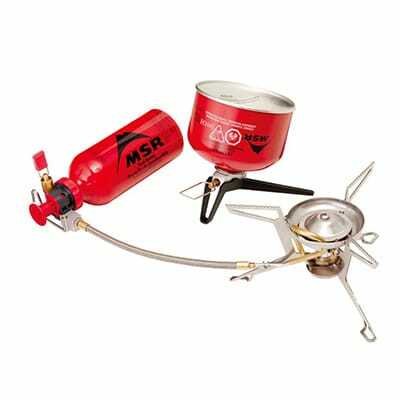 This collapsible top-mounting canister stove comes with a four support cook surface and integrated ignition. But it’s most defining feature is being really really cheap! Best for boiling water and cooking soupy meals, but can cook DIY meals if using a highly conductive pot. Upsidedown fuel attachment allows isobutane to burner even when it condenses into liquid form during cold weather. Side mounted fuel system means you can create a full wind barrier around the burner for maximum wind protection. 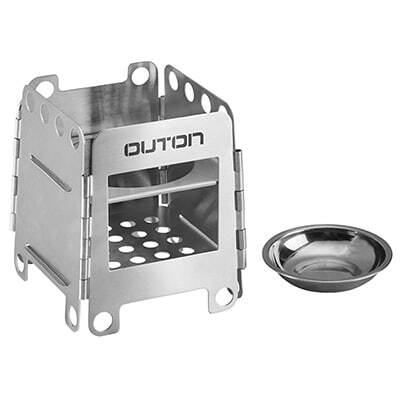 The broader flame profile makes this burner good for both boiling water and cooking your own DIY meals. An isobutane canister stove and cooking vessel paired together in one convenient system. 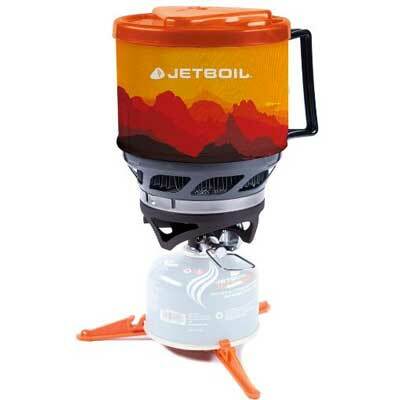 The most iconic integrated stove system, JetBoil MiniMo combines the ability to rapidly boil water with an attached cooking pot for making DIY meals. 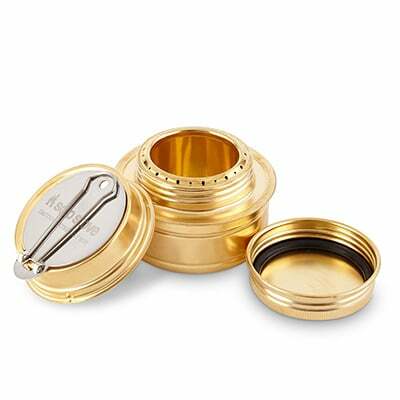 Anodized aluminum pot is best for boiling water and making soupy meals. The low-sided walls make it easier if you want to actually cook DIY meals as well. 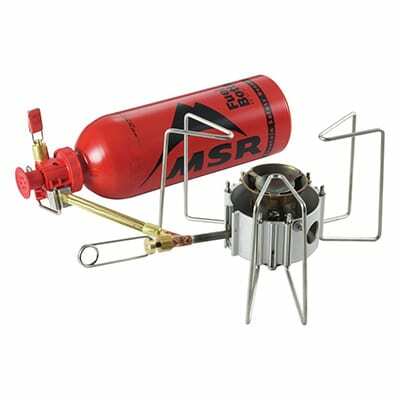 In places where you just can’t escape the wind, the MSR Windburner integrated stove system is the best choice out there. Using a completely enclosed regulated burner system, this stove performs just as well in a light breeze as it does in strong gusts. Plus, wind protection really helps your fuel efficiency. The high sided walls make this stove system best for boiling water and making soupy DIY meals. Need to burn variable fuel types? Camping in cold conditions? Want to be able to perform routine maintenance in the field? Then you need a liquid fuel stove. Improving upon their iconic WhisperLite model, the WhisperLite Universal allows you burn virtually any type of liquid fuel as well as isobutane canisters. Great for cold conditions, international travel, and long-haul thru-hikes. Best for boiling water and cooking soupy meals, but can cook DIY meals if using a highly conductive pot. 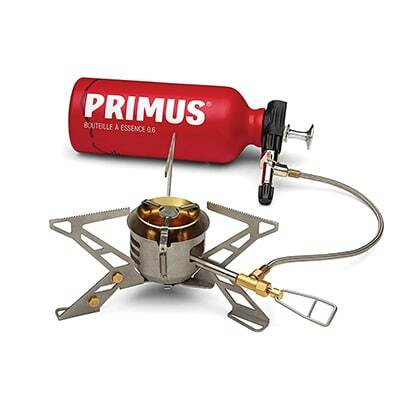 While its performance is on par with the MSR WhisperLite, the Primus OmniFuel II uses an aluminum pump and has a metal to metal connection between the fuel tank and cap. With fewer plastic parts, this might be a stove you can pass down to your grandkids. Plus it’s a gram and change lighter. Best for boiling water and cooking soupy meals, but can cook DIY meals if using a highly conductive pot. 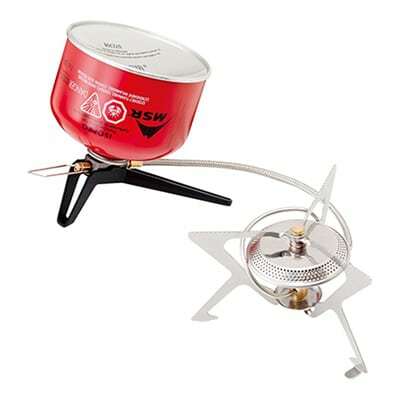 While heavier than the WhisperLite Universal, the DragonFly offers a large cook surface and superior simmer control. Great for everything from boiling water to cooking DIY meals. This stove is ideal for cooking in a big pot for a larger group. While they are primarily designed for burning found biomass, most wood burning stoves can also accept a liquid alcohol burner, which can be a nice backup on rainy days. Perhaps the most well-known wood stove on the market, the Solo Stove Lite uses a unique burn chamber design to maximize your heat while minimizing smoke. Designed to be work with the alcohol burner as well, when wood is wet or is scarce. Best for boiling water and cooking soupy DIY meals. Use cookware without plastic components. This bottom feed wood burning stove is lightweight and has a simple design. It also dirt cheap. Best for boiling water and cooking soupy meals. Use cookware without plastic components. With a unique design cone-like design, the Vargo stove is incredibly simple and lightweight wood burning stove. Best for boiling water and cooking soupy DIY meals. Use cookware without plastic components. 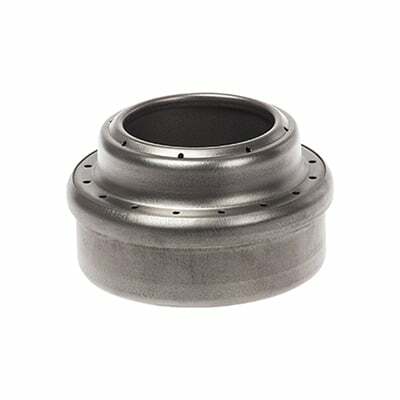 While it’s theoretically possible to place a pot directly on an alcohol burner, a separate spacer or raised cooking platform is usually suggested. Solid exclusively by Esbit, solid alcohol tablets can be used with many of the wood-burning stoves mentioned above. However, Esbit sells a few model specific for solid fuel tablets. 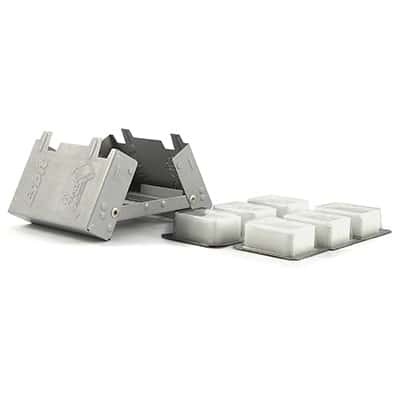 Collapsible into the size of a pack of cigarettes, the pocket stove offers a compact platform for an alcohol tablet while offering some wind protection. Best for boiling water and cooking soupy DIY meals. Use cookware without plastic components. It doesn’t get much lighter than this. This feather-light titanium stove collapses down to so small it can fit in the palm of your hand. 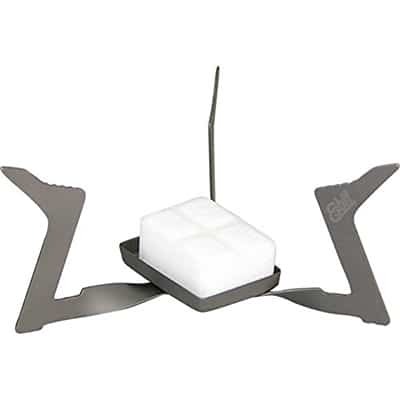 While it gives you a platform for your alcohol tablet as well as three supports for a small pot, it offers zero wind protection. Best for boiling water and cooking soupy DIY meals. Use cookware without plastic components. 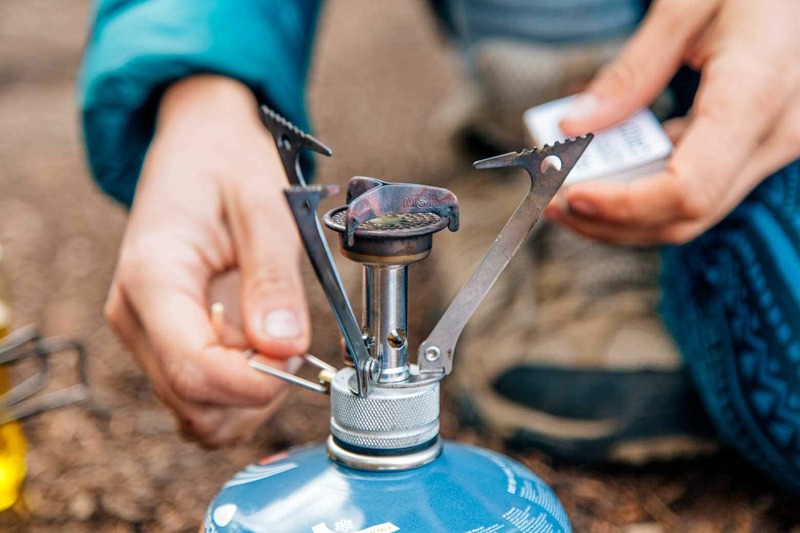 What are the most important factors to you when choosing a backpacking stove? Let us know in the comments below!